Embattled Reserve Bank of Zimbabwe Governor Dr. John Panonetsa Mangudya has claimed that he is going out of his way to solve economic challenges happening in Zimbabwe. Addressing legislators attending the 2019 pre-budget seminar in Bulawayo on Thursday , Mangudya is quoted saying, "We must always behave in good faith and with passion. My intention is and has always been to serve this country with passion first and foremost. Some of us we do not know sleep because we go out of our way to ensure that we look for vital structures to ensure this economy moves." 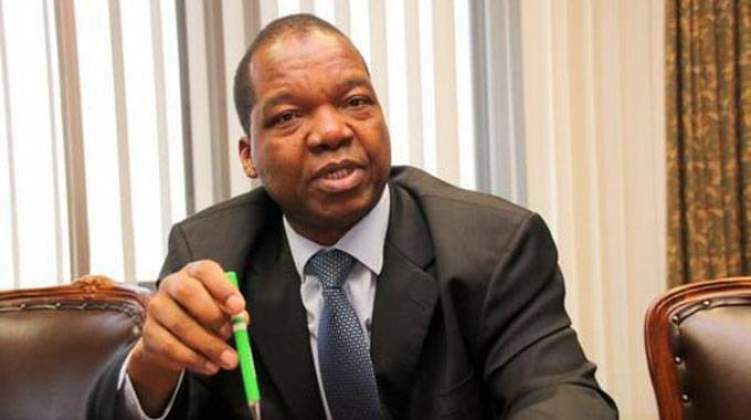 Mangudya also defended the use of bond notes, saying the real cause of problems facing the economy was not the surrogate currency, but ballooning electronic balances, which are not backed by productive fundamentals. Rejecting calls from legislators that bond notes be scrapped as they have 'failed', Dr Mangudya accused parliamentarians of lacking appreciation of real causes of the currency challenge. Recently we reported that whistleblower Prisca Mutema had alleged that the Central Bank Governor is involved in a US$1 billion fraud that saw him and his cronies benefiting from loans taken from various banks in then country. "One of the biggest thefts of public money was engineered by Reserve Bank of Zimbabwe Governor John Mangudya when he became RBZ boss. The scam was so brazening that when Parliament asked questions, they were ignored and no one in Parliament ever pushed the issue. That is because some opposition MPs were also complicit," Mutema said. "Mangudya was CBZ CEO before he was appointed RBZ boss. While at CBZ, he and his executive went on a borrowing spree and insider lending which was never declared transparently. Executive Directors and blue-eyed boys got multi million dollar loans from their own bank." In July this year The Chronicle reported that the Zimbabwe Asset Management Company has since its establishment absorbed $1 billion Non-Performing Loans (NPLs) at banks for various companies to help the businesses turnaround.